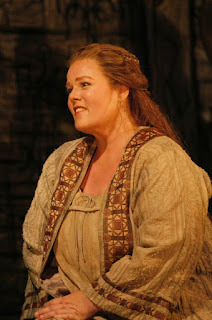 Margaret Jane Wray has been a part of this particular Ring production since it began in 2000, singing the roles of Sieglinde and the Third Norn. She relishes the opportunity to return to these roles that have been changed and shaped by her time in Seattle, and to sing what she believes is the most beautiful music in the entire Ring. What do you like about this production and the opportunity to come back to it? It’s such a beautiful production. When the curtain opens, the scenery takes your breath away. The second thing would be Stephen Wadsworth, who is a wonderful director, very detail-oriented and positive. He’s friends with the singers and he cares about us and he works with us to be the best that we can be. 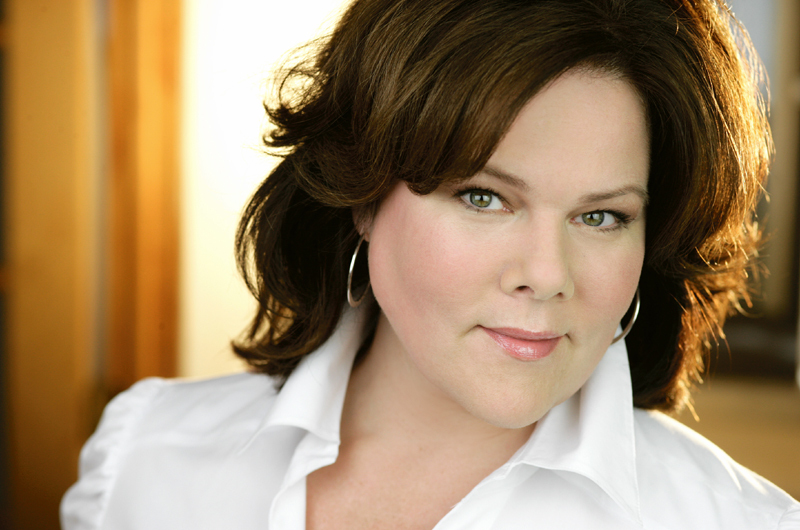 It’s also Seattle Opera, it’s Speight, who always assembles a wonderful cast. Even though the cast has changed a bit over the years, it’s like a family. Also, Seattle is a wonderful place to work, especially during the summer. You’re not the first to say it’s like a family. Why would you say that about this particular production? As Wagnerians we’ve worked together in other cities. Lots of us have just come from New York for their Ring and we see each other around the world, so there’s a Wagnerian family. And we spend a long time in Seattle. Three and a half months for some people. You get to know people. We bring our children and husbands and wives and that’s part of the charm of it, too. What kind of impact does the long rehearsal period have on the final production? We’re so well rehearsed by the first dress rehearsal that we’re ready to go. You might not have had as much time with the orchestra as you’d want but you’re ready to go. 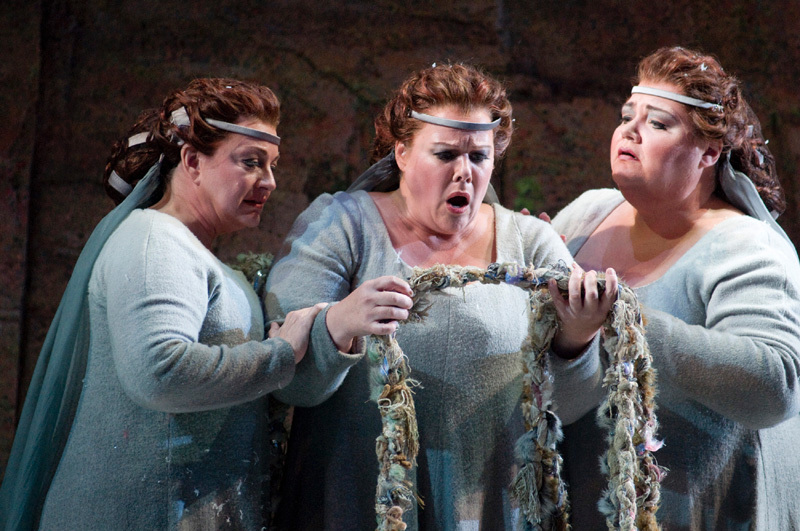 With what’s happening in opera and in the world, rehearsing is now a luxury. I just did a production of a huge role, one of the biggest roles in the soprano repertoire, and I got one run-through in a room before I went onstage. This Ring is incredibly detail-oriented, and that’s why it’s so successful. There is a lot of meaning between the characters, lots of tension on the stage, and you don’t see that in every Ring. I’ll go out on a limb and say this is the best Ring I’ve ever been in and I’ve been in many. Why is Sieglinde a character that many can sympathize with? Probably because she’s an innocent. She’s been taken advantage of and abused, breaks out of a terrible situation and gives birth to a hero. She’s not a god, she’s human. For me, musically, she easily has the most beautiful music in the Ring. It’s just glorious music and it’s very satisfying. I’ve never gotten sick of singing it, and I feel like she’s a part of me. Her music comes back at the end of Götterdämmerung and people remember. Can you characterize how the role has evolved over the years? I had sung Sieglinde only once before I did the first Seattle production in 2000, so I was still a newbie. Until you get 10-15 performances under your belt on a particular role, it’s still considered new. Especially a big Wagnerian role. In my first production I did not have the detailed direction that I got from Stephen, so in some ways I felt like Seattle was my first time through. He really dug into it much more deeply, which was eye opening to me. Over the years we continue to dig and continue to layer the character, and as a singer I think my voice is stronger. I’m more confident as a singer. You are also a Norn in the first scene of Götterdämmerung. How do you shift gears? It’s a totally different thing. It’s a short scene, but it’s extremely important because it sets up the whole of Götterdämmerung. It’s always fun to rehearse with Stephanie Blythe and Luretta Bybee. We have a sisterly rapport, so when we get to sing together, it’s always a warm and fun time. Do you have a favorite Ring memory? It was the second year. We drove out to Seattle, and I could not stay awake in the car. 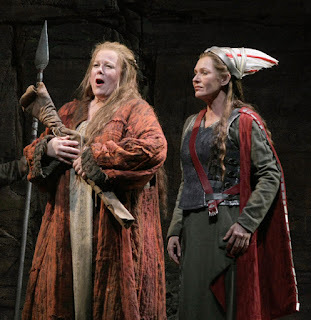 One of my colleagues, Lori Phillips (she’s covering Brünnhilde this summer) was pregnant at the time, and we were having a chat and she said, “I think you’re pregnant.” I said, “Don’t be silly!” And so, of course, I went and I took a test and I was pregnant. 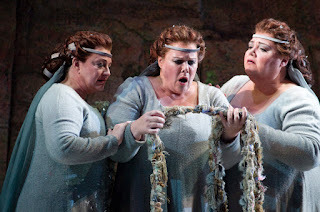 I remember my husband and my young son, who is now 17, jumping up in the air and saying, “Oh my gosh, that’s fantastic.” I was thinking, “I’m going to have morning sickness while I’m trying to rehearse Sieglinde!” I didn’t have morning sickness, but I remember I could not stand the smell of salmon. Given that this is Speight’s last Ring, could you offer any thoughts on his influence on your career? I owe a lot to Speight. I can’t imagine him retiring for one; he’s such a force of nature and he has built something so special out here in Seattle. He has kept me each year and that has meant a lot to me. He has been steadfast for me and one of the most important people as far as my career is concerned. I have been very humbled by his faithfulness. My pledge this year to him is just to have the best possible Ring we can have and enjoy every minute of it and thank him for being such a great General Director.